Moving back through the 1940s, through air raids, blacked-out streets, illicit partying, and sexual adventure, to end with its beginning in 1941, "The Night Watch" tells the story of four Londoners-three women and a young man with a past-whose lives, and those of their friends and lovers, connect in tragedy, stunning surprise and exquisite turns, only to change irreversibly in the shadow of a grand historical event. Anyway, The Night Watch is LGBT fiction set during and just after the second world war. It stands out a bit from the other war fiction I’ve read because Waters sets it in London instead of the frontlines. The book has a large ensemble of main characters, all with their own narratives. Every character except for one is gay, and it’s an interesting choice for a book set during the 1940s because through their eyes Waters illustrates what day to day life was like for them. I really enjoyed the view into the lives these characters during the war because it was so interesting to read about the Home Front; the jobs that women took on in the absence of the men who’d been called up as soldiers so, for example, we have two characters who drive an ambulance during the air raids. It is their job to tend to the wounded while the bombs fall. 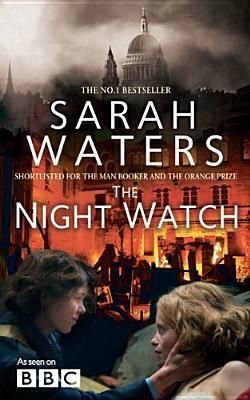 We have characters who work as typists, others who spend wartime in prison; The Night Watch is about people trying to live their lives during a terrible period in human history. The story is told in an unusual way – the book begins a year or two after the war and at the halfway point switches to the wartime period. Waters focuses her book primarily on lesbian characters but we do have one ambiguously gay dude and a straight woman who makes the worst life choices, seriously. Have you ever read a book where you’ve enjoyed the setting but have been constantly irritated by the characters? Because that was my general experience with The Night Watch. This group of characters are not exactly what I’d call likeable; Helen, who cheats on her girlfriend with another woman but then spends a huge amount of time hysterically worrying that she will be cheated on is another level of annoying. I hated her so much -____- I found myself liking the more periphery characters like Mickey because the main casts’ relationship drama grated on me. I’m also kind of in two minds about the way the story is set out – beginning after the war but then switching back is an interesting narrative choice but it does mean that you have to endure nearly two hundred pages of these characters moping about in the aftermath of their truly terrible life choices before you get to the enjoyable parts of the story. All in all, The Night Watch is an okay story that some people will like more than others. 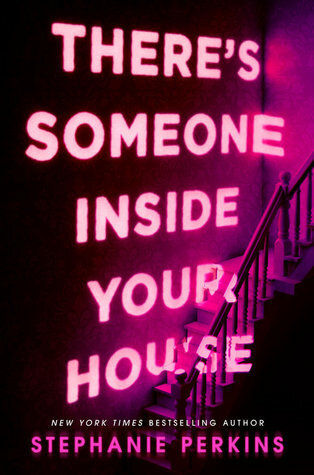 I gave it three stars because I spent the first half of the book bored out of my mind and couldn’t like or relate to any of the characters but that may not be true of everyone. Bhahaha! That cover is horrible 😀 I can’t believe that it’s a Little Brown cover. Looks more like a self-pubbed one. Yay for a LGBT story. I’m sorry that the characters didn’t sit well with you, but I’m glad that the second half really picked up 🙂 Great review, lovely!